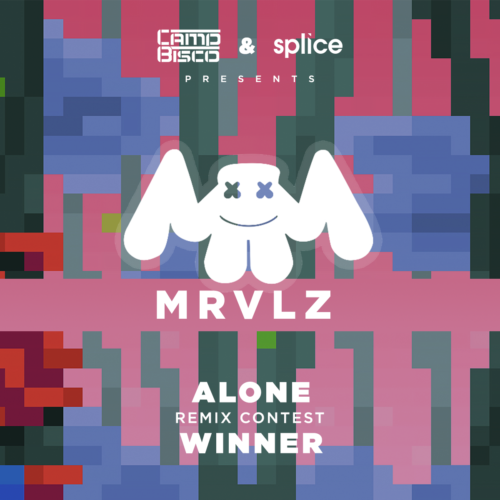 Monstercat & Marshmello are happy to announce the winner of the remix contest for “Alone” (find the original contest page here). Congratulations to mrvlz for the winning submission! The winner will receive a helicopter ride to Camp Bisco, an opening DJ set at Camp Bisco and their remix released on Monstercat. The melody is extremely infectious! It draws influences from the original while maintaining it’s own unique identity. Very complimentary addition to an already outstanding track. Excellent arrangement and mixing. Fans of Monstercat and Marshmello will love this. Great work MRVLZ! This track has a really great melody that suits the positive energy of the reggae influence. Very inventive take on the original. Great overall quality of production and mix. Excellent production overall, the quality of the mix is one of the standout points. It has a great energy for the summer months and will be sure to light up the dance floor. We really like the juxtaposition of the piano section into the main melody. It also has great mixing and arrangement. This was such a fun remix, we had to include it! It has a great energy to it, while still being an easy listening track. Not too sure if the name “Future Moombah” will ever stick, but if it does, you heard it here first! We were blown away by the number and quality of the submissions! Any Remix Contest is only as good as the people who enter, and you should all be proud for raising the bar on this one. Trust us when we say we simply didn’t have enough room to mention all the terrific entries that came in. We encourage you to upload your tracks onto your own SoundCloud pages and share or give away your remixes to your fans!